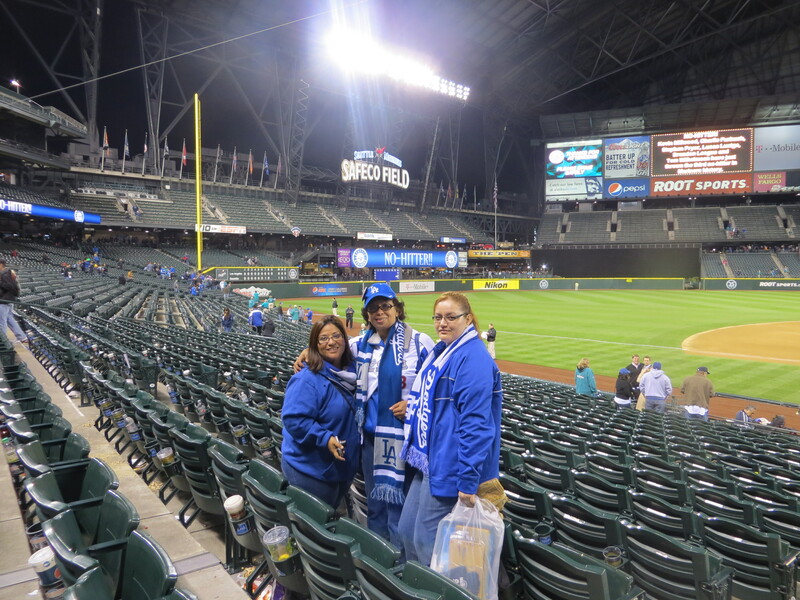 I found these pictures when I took a road trip to Seattle with friends Lorena & Rosie to see the Dodgers last year. 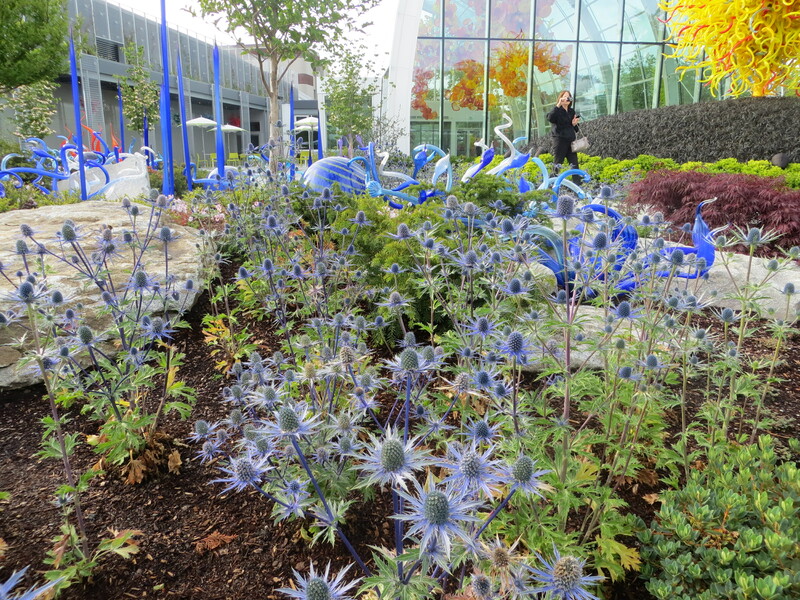 At the Chihuly Garden and Glass when I spotted a bee. 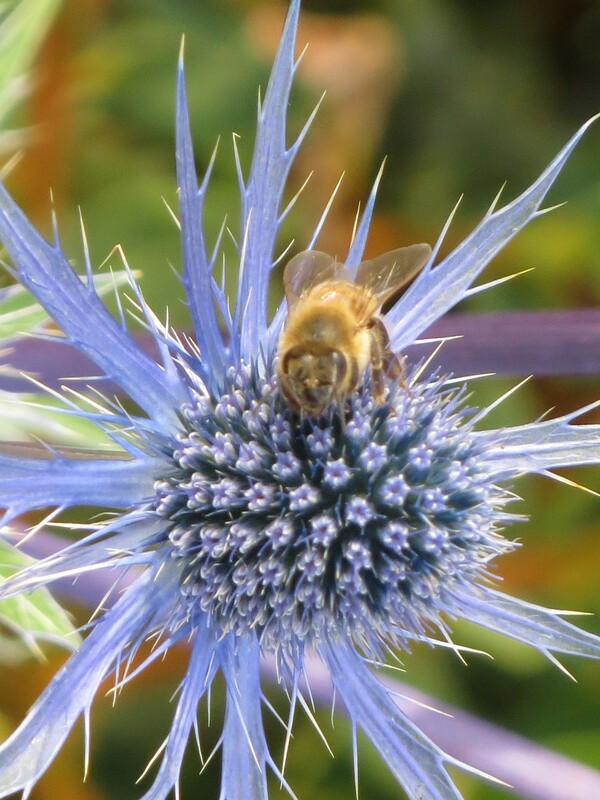 I am afraid of bees but I stayed there taking the picture. 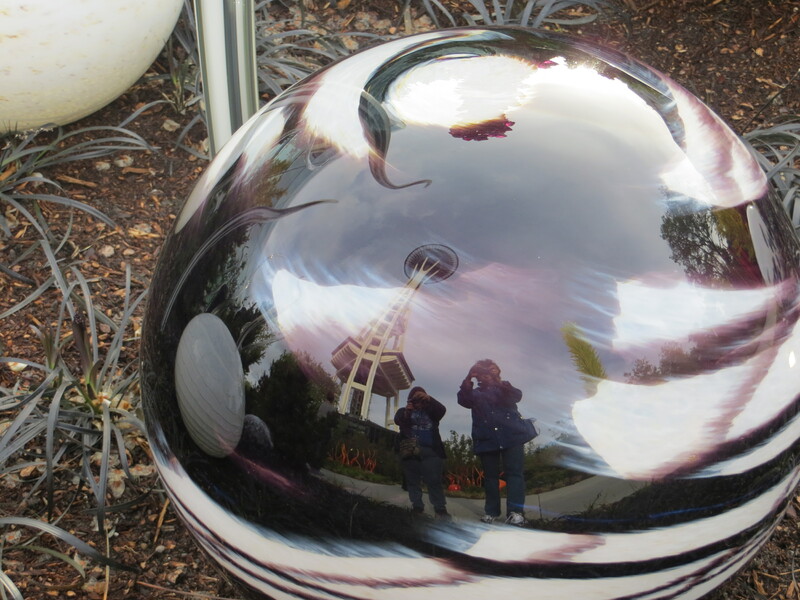 I also took this picture aiming low at the reflection of Lorena and I taking pictures. I can say it took six pitchers to no hit the Dodgers or I can say that no matter who the Mariners send out there, the Dodgers were not going to get a hit. It reminded me of Tommy Lasorda talking about Bert Bevacqua f***ing Bevacqua, who couldn’t hit water if he fell out of a f***ing boat.” Well it applies to the Dodgers, they could not hit water if they fell out of a sinking boat. 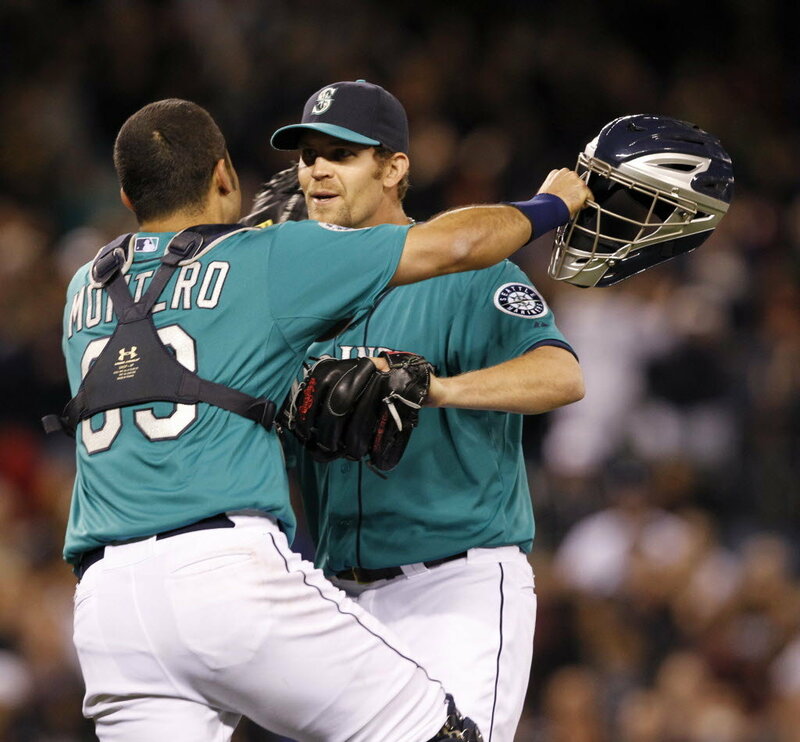 So on June 8, 2012 Kevin Millwood and five Seattle relief pitchers tossed a no hitter. The no-hitter witnessed by my friends and I at Safeco Field, tied the major league record for most pitchers used in a no-hitter. The last time the Dodgers went hitless in nine innings was against the Atlanta Braves’ Kent Mercker at Dodger Stadium on April 8, 1994. Dodgers also went hitless in 8 innings at Dodger Stadium on June 28, 2008 against the Angels but the Dodgers won the game 1-0 at Dodger Stadium. I remember watching that game at Dodger Stadium. It also happen to fall on my birthday. 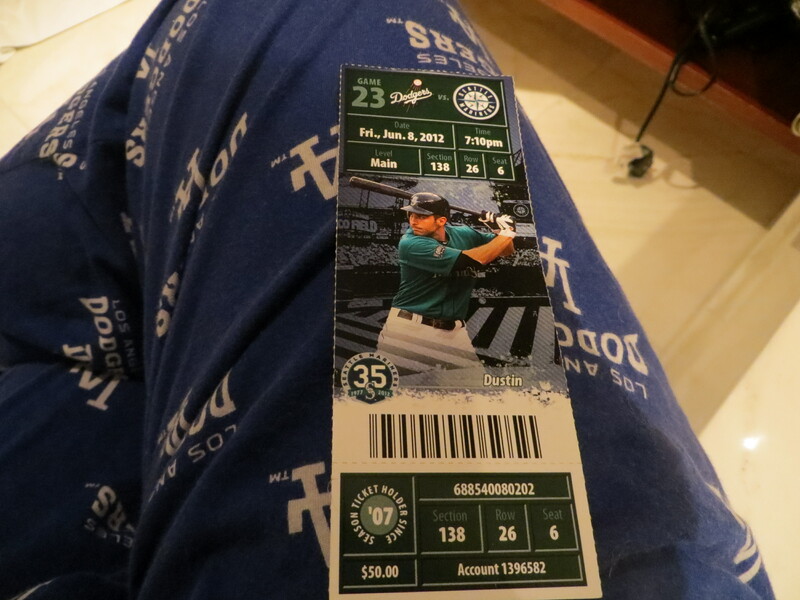 But this is the first time I watch a nine inning no-hitter. We will be back today Saturday when Kershaw goes to the mound. It is a FOX game of the week. I hope the Boys in Blue hit.